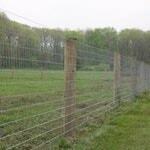 An electric horse fence is widely regarded as the best option to contain horses. You can be sure your horses will be safe and secure on your property. 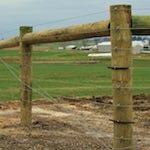 An electric fence for horses acts as a deterrent and will not injure your animals. 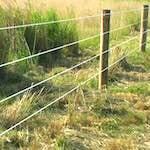 A barbed wire fence can cause more physical damage to a horse than an electric fence. There is no need to worry about your electric bill skyrocketing as the amount of electricity an electric horse fence uses is minimal. You can even use a battery to power the fence. 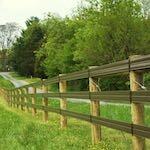 ProFence have been in the fencing industry since 1993. If you are interested in electric fencing for horses, you will not find a more experienced fencing company than us. We have installed electric horse fences for properties large and small. Whether you want to contain one horse or many, we have the materials and installation experience to accomplish this on time and within budget. 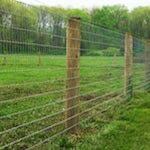 You can upgrade your existing fence to an electric horse fence or have an electric fence installed from the outset. The technology is simple. An energizer converts electricity into high voltage pulses. When a horse comes into contact with the electrified fence, the animal will complete the circuit and receive a shock. After learning that leaning on the fence will result in an electric shock, horses generally will stay away from the fence. This will deter your horse from trying to leave the property and will stop them from leaning on the fence which can cause damage to the fence and horse. 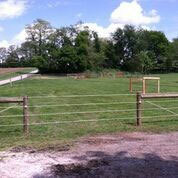 ProFence are experts in electric fencing for horses. 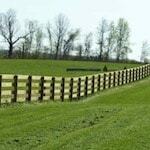 We can upgrade your existing fence to an electric horse fence or install a new electric fence. Contact Us for a free quote. If you want your electric horse fence installation to be completed on time and within budget, then look no further than ProFence, we are with you every step of the way.